Height 5 feet 8½ inches. Weight 164 lbs. Chest measurement 39-41 inches. Complexion fair. Eyes blue. Hair dark. Sight, hearing and colour vision all good - normal. Limbs well formed. Full and perfect movement of all joints. Chest well formed. Heart and lungs normal. Teeth good. Free from hernia, varicocele, varicose veins, haemorrhoids, inveterate or contagious skin disease. Vaccinated. Good bodily and mental health. No slight defects. 8 August 1915 he was wounded in action at the Dardanelles and admitted to H.S. SIcilia with gun shot wound to the head. On 12 August 1915, he was admitted to 19th General Hospital, Alexandria, with gunshot wound to the right thigh and fracture of skull suffered at Gallipoli. 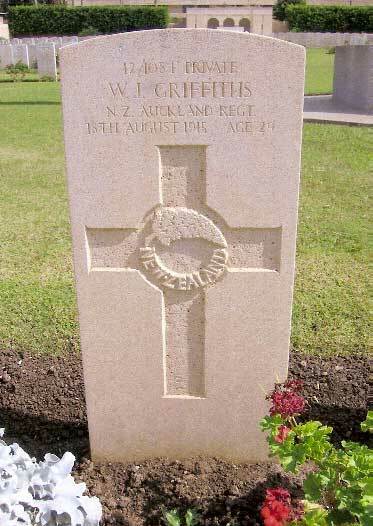 William John Griffiths, familiarly known as Sandy, was born on 17 December 1885 in Timaru, one of the family of six of Walter John (John Walter) and Agnes (née Andrews) Griffiths. Sandy was educated alternatively at Timaru South School (Side School) and Timaru Main School, as the family lived at various addresses in the south end of Timaru, before going out to work in May 1898. In the early years his father worked as a butcher in the Timaru area, applying for a licence to slaughter at Kingsdown in 1886 and spending some time at Fairlie around 1896. Some time after 1905 the whole family moved to Auckland. There, before the war, William worked as a painter. He married Maud Catherine Badley in 1908. 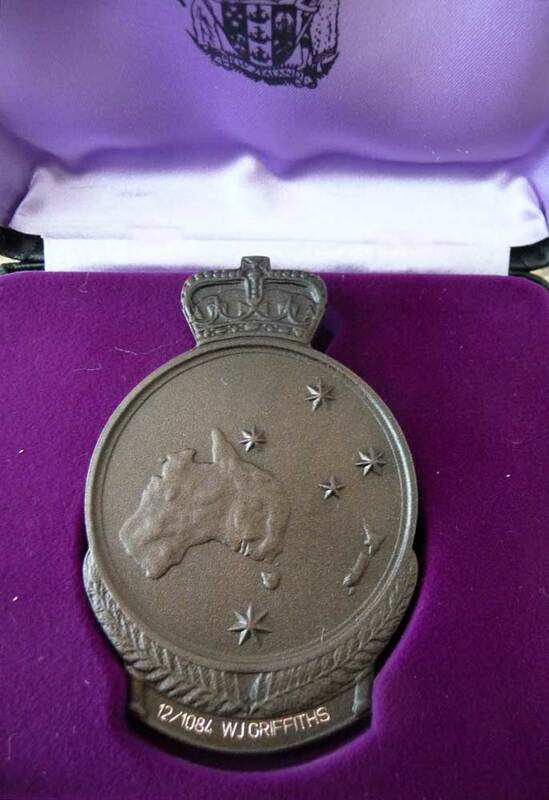 It was in Auckland that he enlisted on 7 September 1914, aged 29 years, a married man with two young children - Mavis Royal Griffiths born in 23 June 1911 in Auckland (married Fischer; died 1999); Victor Trevor Griffiths born 27 July 1913 in Auckland (died 1989). William Griffiths was for many years a bandsman in the Auckland City Corps of the Salvation Army. He was also a member of the 1st Battalion, Auckland Regiment, N.Z.E.F. 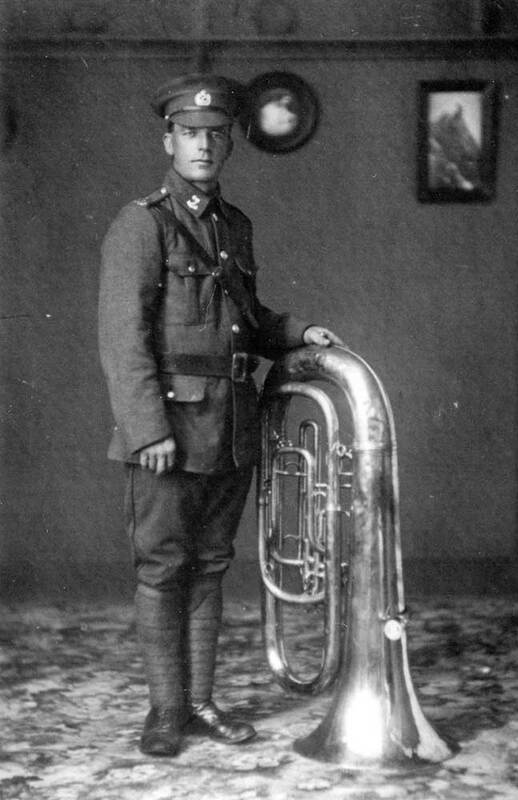 Band, and would have left Auckland on 24 September 1914 with the Band on the “Waimana”. As the transport headed north they were sent an urgent message to return to Auckland for fear of the threat posed by German warships in the Pacific Ocean. Consequently they joined the rest of the Main Body in Wellington and on 16 October 1914 William was on his way to Egypt with the Auckland Infantry Battalion. Ten months later and all was not well. William was wounded at the Dardanelles on 8 August 1915 and admitted to the hospital ship Sicilia. From there he was transferred to Alexandria and admitted to the 19th General Hospital there on 12 August. On landing at Gallipoli William transferred to the ranks of the combatants and served as a stretcher bearer; on leaving Gallipoli he was likely the stretcher patient. William died on 18 August 1915 at Alexandria, of the gunshot wounds to the head and thigh and fracture of the skull which he had received ten days earlier at Gallipoli. He left his wife and two young children. In 1919 William's widow Maud married Samuel Harris, and was living in Greymouth, where advice regarding William's medals was sent. She later married a Mr Clements and died in 1971 in Auckland. Her ashes are interred in the Hillsborough Cemetery with her 9-year old son, Stanley John Harris. In 1963 in response to a query about payments to his widow, who had had a very hard life, the Army Secretary confirmed that many records, which did not cover the actual military record of soldiers in World War I, had been purged and destroyed. 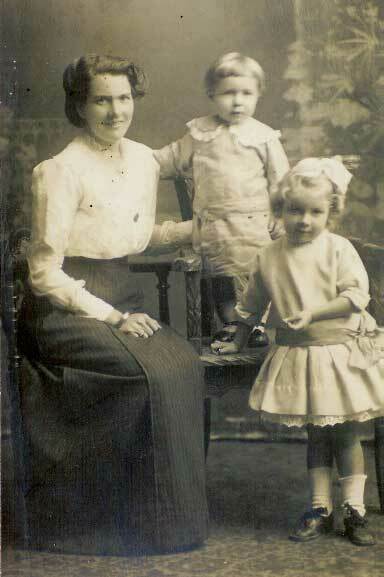 He does, however, state that the allotment to his wife and two children in 1914-15 would have been 3/6 a day, paid on a daily basis; and that she would have received the appropriate gratuity payment until at least 1922 when she was in communication with the Army; and that a claim cannot be recognised at this late stage (1963). It appears that William had not left a Will. Two of his brothers - Edwin John Griffiths and Walter Robert Griffiths - were recorded on the World War One Reserve Rolls, Edwin later enlisting and serving in New Zealand and again in World War Two. Their father died in 1920 and their mother in 1924, both buried in Auckland. William’s son Victor also served in World War Two. Sergeant W.J. (Sandy) Griffiths is buried in the Alexandria (Chatby) Military and War Memorial Cemetery in Egypt, and his name is inscribed on the Timaru War Memorial Wall.